Translators and interpreters have similar jobs, but they’re not the same. Knowing who to turn to in each case can save you from potentially costly and uncomfortable situations, such as what happened to US President Donald Trump during the G20 summit. 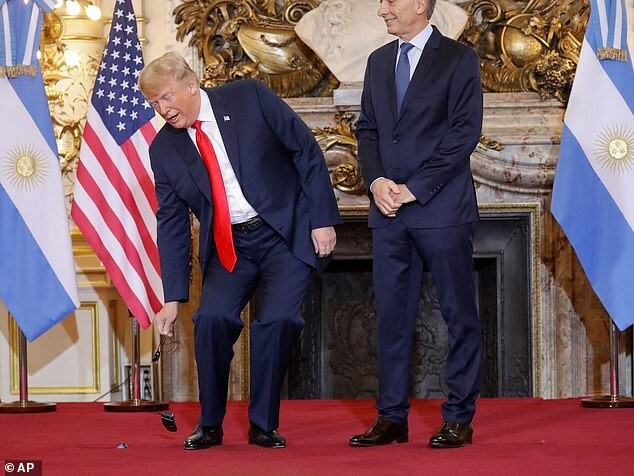 An example: as shown in the pictures, during the welcome speech by Argentine President Mauricio Macri, Trump complained about the interpretation and preferred to leave his receiver on the ground. 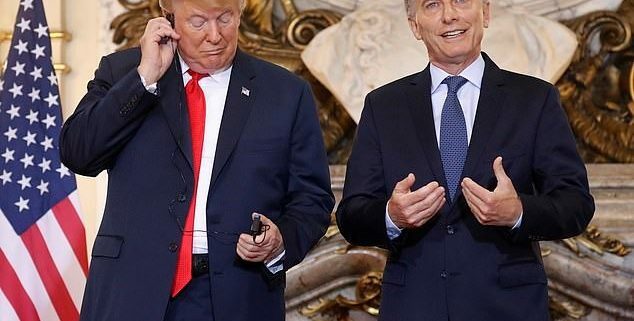 “I think I understood it better in your language than with this…” said Trump to Macri (president of Argentina). Trump leaves his receiver on the ground. Photo by AP. Translation and interpreting are different specializations because they cater to different situations. Let’s look at some differences. Speak. Interpret oral or sign language, which, by the way, isn’t universal (i.e., there’s one sign language for Spanish, another one for English, etc.). Write. Translate texts. Work while communication takes place (face-to-face in negotiations; from a booth in conferences; over the phone or videoconference). Work before communication takes place (prepare texts that will be used to communicate once the translation is finished, such as websites, contracts, manuals, subtitles, etc.). Are the first and only line of communication, their work arrives “unfiltered.” May (and in many cases must) be assisted by reviewers and revisors who check and improve their work. Depending on the situation, they can speak in their mother tongue or another language. Usually write only in their mother tongue. Deal with spoken language, which is usually less structured, and ideas are presented in a less complex form. Deal with written language, which is more suitable for complex ideas and dense information, in addition, writers aren’t always clear. Depending on the situation, may ask the speaker for clarification. Many times the author isn’t available to clarify ambiguities or certain terms. Can see the reactions of the audience and portray additional information with their tone of voice and gestures. Cannot query or guide the reader, must ensure the text is clear in itself. Cannot use many reference materials (except for preparation, which is crucial) because they must interpret on the spot (imagine what would happen if they tried to check a dictionary while the speaker goes on lecturing). Can use dictionaries and other reference materials. In fact, translators research a lot and sometimes coming up with the right term or formulation can take hours of work. Usually charge by the hour or day (which may include travel time), plus travel expenses, meals, insurance, etc. Usually charge per word or page. Will advise you on the necessary equipment (booth, microphones, console, etc.) and whether they should work with someone else (simultaneous interpretation is usually done in pairs, interpreters alternate every 20 minutes because it is exhausting work). Will advise you on any additional services required (bilingual editing, monolingual proofreading, desktop publishing and other pre- and post-translation tasks). In a translation company, this is usually done by the translation project manager. Both are professionals who facilitate communication between cultures (differences go beyond language) so that you can achieve your goals. Their work represents your organization’s brand. Not only can they help you understand and connect, but also create stronger bonds of trust (and thus, achieve). Both treat your information and that of your interlocutors as confidential. Both specialize in certain topics. Make sure to hire the right provider for the event or texts that you need (medical, legal, tech, economics and finance, etc.). True, in general terms, translators interpret (assign meaning to the texts) and interpreters translate (reproduce information in another language), but in professional jargon, translators deal with the written word and interpreters, with the spoken word. The more you can trust your translator or interpreter, the more comfortable you’ll feel (and your interlocutors as well), and that will show in the results. Imagine how you’d feel watching a movie with subtitles that don’t match the actors’ facial expressions or signing a contract with grammar and syntax errors. How would you feel about closing a deal without being sure that both parties understand the same thing, in a medical visit where you can’t explain your symptoms, a trial where important details are lost, or in a conference where the speaker seems to be talking nonsense? What really happened to Trump? Contrary to what many media reported, Trump’s annoyance was due to a technical issue with the earpiece, not the quality of the interpretation. 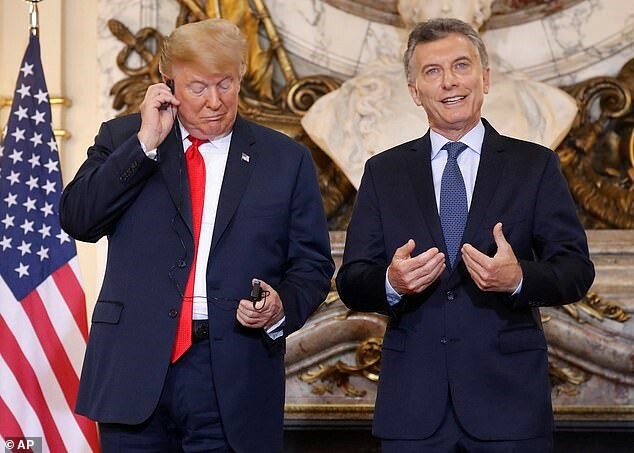 «Remarks by President Trump and President Macri of the Argentine Republic before Bilateral Meeting | U.S. Embassy in Argentina», U.S. Embassy in Argentina, 30 de noviembre de 2018, https://ar.usembassy.gov/remarks-by-president-trump-and-president-macri-of-the-argentine-republic-before-bilateral-meeting/. Do you have any queries or suggestions related to this article? Would you like to know more about anything related to translation? Did you have any good or bad experiences with interpreters or as an interpreter? Please leave a comment.